Do-it-yourself methods are not always the best, but then hiring a professional exterminator is way more expensive and doesn’t guarantee your home will be bed bug free either. So what should you do? In my opinion, if money is no problem then hiring a professional is always a great initial option. And if you want to go that route, then check out this article about how to pick a good exterminator to do the job. However, even if you do go with a professional, you’ll want to also use these home remedies I’ve noted below to make sure every last bed bug is killed and that all the bed bug eggs are also destroyed so that there’s no chance of a reoccurrence after you’ve spent so much money hiring someone to do it. If hiring someone is outside of your budget, then you’ll definitely want to keep reading, as I’m about to share with you 3 home remedies for killing bed bugs that will cost you a lot less than hiring a professional. However, you’ll need to do the work yourself and keep being vigilant to ensure that the infestation doesn’t return. What’s the absolute best bed bugs home remedy? This is really what you came to my website for right? The answer is that you need a combination of 2 and most likely 3 home remedies to ensure that you’re able to get rid of all of the bed bugs in your home. If I didn’t care, I could pick any one of the treatment methods below and tell you that it’s the best bed bugs home remedy, but the fact of the matter is that no single solution will be 100% effective. Anyone who tells you otherwise either doesn’t know what they’re talking about or else is trying to sell you their magical bed bug solution. So, below are 3 methods that work really well together. Don’t be lazy and just go for one method. If you really want to ensure that bed bugs are kicked out of your home and stay out, then please don’t skimp. Follow all 3 methods, and you’ll be able to enjoy a bed bug free environment again. Dry Steamer: You need a dry steamer. I’m not saying that no one has ever treated a bed bug infestation without a dry steamer, but there really is no better tool to kill bed bugs and their eggs around your home. In particular, you’ll need to use the dry steamer on your bed, your furniture, your carpet, and anything else that is upholstered. Doing so will make sure that no eggs survive the treatment and then hatch weeks later. However, be very careful when you’re using this instrument, as it gets very hot (hence why it can kill bed bugs and their eggs). Make sure you protect your hands and feet. Always aim the steamer away from you. And keep your children and pets away from the dry steamer. One thing you’ll notice is that the typical price tag on a dry steamer is most definitely not cheap – they run about $300 (they can actually be much more expensive, but a $300 one is just fine – check out the Vapamore one). This may seem like a lot to spend, but it’s a lot less than you’ll end up spending on extermination, so just concentrate on how much money, furniture, carpets you’ll actually be saving instead. Diatomaceous Earth: Most people have never heard of this stuff, but it’s both cheap and effective for getting rid of bed bugs. Diatomaceous earth is a white powder substance that has a variety of uses outside of killing bed bugs, but its ability to kill bed bugs is what we’re most interested in. The best part is that diatomaceous earth does not need to be applied directly to bed bugs like most bed bug sprays. Rather, this is a dirt-like substance – which is why it’s called earth – and it will stay around for bed bugs to walk across. And when they do, the bed bugs will die. It’s easy to think that once you spend $300 on a dry steamer and dry steam your entire house or apartment, then you’ve done your work and the bed bugs should all bed dead. But the fact of the matter is, you will have most likely missed some bed bugs or some of their eggs. So, this is why you’ll need to also get some diatomaceous earth (which is very cheap). You can sprinkle this white powder in the corners of your rooms and beneath your beds so that if there are new bed bugs or any old ones you didn’t manage to kill with the dry steamer, they’ll hopefully walk across the diatomaceous earth you’ve scattered on the floor and be killed by that instead. This is sort of like a secondary trap for bed bugs you missed initially so that a new infestation doesn’t start up. 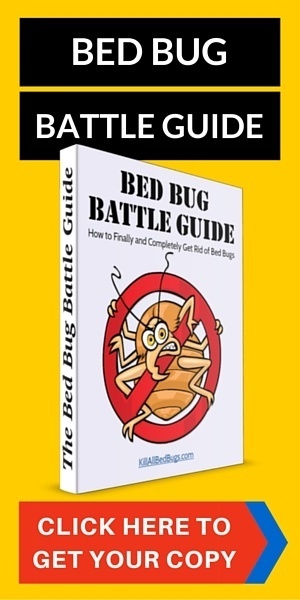 It’s a super easy and hands-off method of ensuring lingering bed bugs get killed. Laundry and Vacuuming: A vacuum and a washing machine and dryer are obviously not items that you will need to buy, but the point is, while you’re going through bed bug treatment, you’ll need to continually do laundry and vacuum every day. Neither of these actions serve as treatment methods on their own, since they’ll only kill a few bed bugs here and there, but they’re important actions in terms of keeping bed bugs from spreading and recurring. Those are the 3 bed bug home remedies I think work the best, but remember that it’s way more effective if you use all 3 methods together. The dry steamer will kill most of the bed bugs (especially if you have a large infestation), the diatomaceous earth will kill off any lingering ones, and the continued vacuuming and cleaning will prevent new bed bugs from hatching and spreading again. But, there are 2 reasons (other than the fact that some bed bug sprays just don’t work) why I don’t list bed bug sprays in the list of bed bug home remedies above. 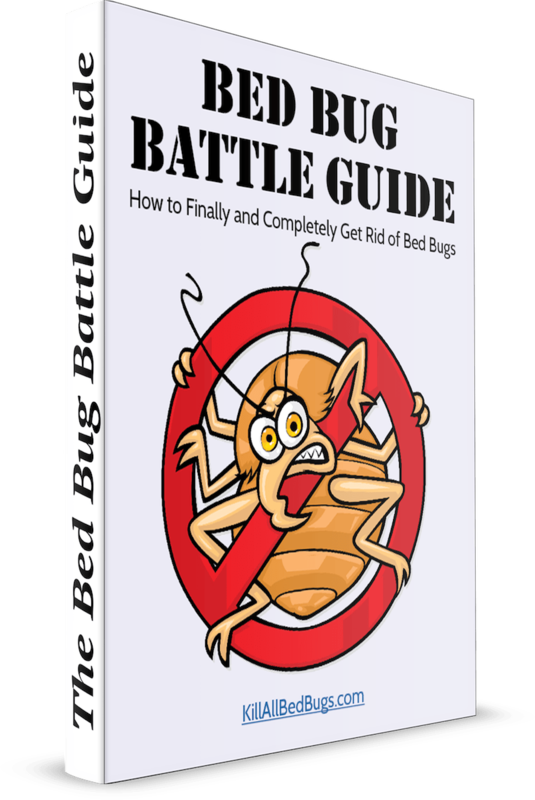 The first is because many people tend to be very over-reliant on them and to abandon all of methods of getting rid of bed bugs. As a result, their bed bug infestation stays and often grows as well. The second reason is because the items I did list above (namely, a dry steamer and diatomaceous earth) work better than bed bug sprays. Now, if you want to use a bed bug spray in conjunction with the above tactics, then by all means, do so. Check out the Eco Defense Bed Bug Killer I referenced earlier. Just don’t think that a bed bug spray alone is going to be enough. Any rudimentary heat or cold treatment: You’ll read a lot of people argue that you can freeze items, place them in the sun, or else heat or cool things in such a way as to kill bed bugs. There’s obviously some truth to this, since that’s the way that both dry steamers and laundry work to kill bed bugs. However, these tactics are extremely limited, they only allow you to treat a few items at a time, and they don’t even guarantee that all the bed bugs in the particular item will be killed. Ignore this sort of advice and go for things that have been proven to work. As I noted above, there’s no bed bugs home remedy that will guarantee 100% success. You should use all 3 methods I mentioned above in order to get the best results possible. It’s not an easy task – it’s going to take you some days (depending on how big your house or apartment is) to fully dry steam, vacuum, clean, and wash everything you own that could be infested. And the bigger the infestation, the more effort you’ll unfortunately need to put into the whole business. But please don’t put this off. If you even suspect you might have bed bugs, get started with dry steaming, with putting down diatomaceous earth (which is dirt cheap to buy and very safe to use), and with washing your clothes and linen well. Because, the longer you wait, the harder it will be to get rid of all of the bed bugs. Do you think a cheaper dry steamer would work as effectively as the ones you recommend/ I was looking at McCulloch MC-1275 Heavy-Duty Steam Cleaner (about $100). It claims to reach around 235F, which should be enough to kill bed bugs according to you. Any thoughts? I appreciate your information here! The McCulloch could certain work. We recommend the Vapamore just because we’ve seen a lot of success with it, and it’s far cheaper than many of the most expensive dry steamers. That doesn’t mean that another one won’t work – just check the specs as you did to make sure that the temperature at the tip gets high enough. Ive been living in my place going on 9 years, and I got these roommates in August 2012. Ive never experience bedbugs before in my lifetime. In the lata part of September I started to get bitten I thought they were mosquitos so I didnt pay it to much attention to it. The biting kept happening in October and esculated in November until I saw them in my bed. Let me tell you about my roommates, when they moved in they brought all these boxes and clothes unpacked and it made me alittle nervous because I thought I would be fight roaches, but instead im fighting bedbugs. They dont want to take responsibility for it i asked them to remove the clutter they have in the room because the room was furnished. I have spent hundreds of dollars because of lack of knowlege before I found your site. I spent $1,700 for my mattress and $1,200 for the mattress they are sleeping on. I dont have alot of money now to purchase that steamer, I purchase the Ortho bedgug stray that kills eggs also and the Diatomaceous Earth and Im washing my linen. but I need a regimen on how to use the spray with the D”Earth. They are on a $2,200 dollar bed that includes the mattress I spoke of earlier. I dont want to lose that bed frame; how should I use these two products to make this work. I really want to put them out because I truly believe they brought those bedbugs in my apartment. They havent moved anything and I gave them a deadling to have all that clutter out so I can breakdown my bed frame to spray and use the D”Earth to put in the cracks and crevices in the bed frame. IM IN DIRE NEED OF HELP!. Im to the point I get nervous when its time to sleep. but since I have sprayed and put the D”Earth down Im not getting bitten but sometimes i think I am. When should I replace it with fresh powder, once a week, twice a week or what? I need something quickly. I have used a mixture of bleach & water, does I’ll but not sure it will help to kill hatched eggs. Have read about DE , if I use this on regularly will in the future ? Please help. I already have bites and red rash with alot of itching. Thanks for any and all help. excellent home remedies! thanks for sharing.